Get your £5 tickets for our Brexodus debate! Don't miss out on your last chance to attend the EU referendum debate! 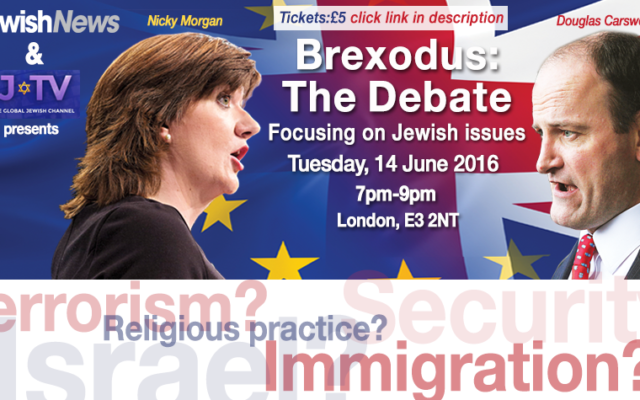 The race for the support of Jewish voters in the EU referendum campaign reaches fever pitch next week when Education Secretary Nicky Morgan and UKIP MP Douglas Carswell go head-to-head to debate the potential impact of a Brexit on Israel and Anglo-Jewry. 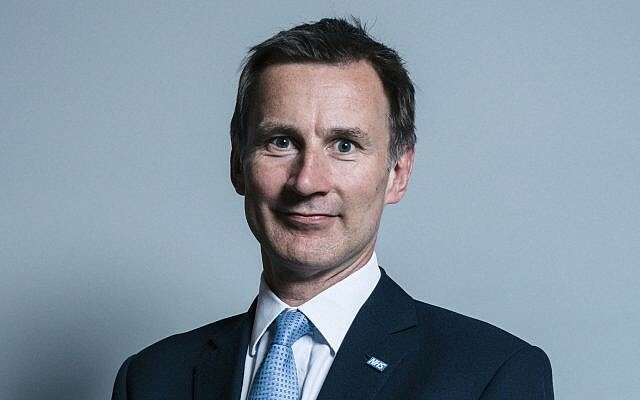 The community’s most high-profile debate on the future of Britain’s involvement in the European Union is organised by Jewish News and J-TV, just over a week before the country faces one of its biggest decisions for decades. The 14 June event, held at J-TV’s studios in east London in partnership with the Union of Jewish Students and the United Synagogue, will focus on issues of specific concern to Anglo-Jewry, including circumcision, shechita and Israel, as well as issues of wider interest including the potential impact of Brexit on the economy, the jobs market and immigration. J-TV’s current affairs presenter Alan Mendoza will chair an audience question-and-answer session. You can but a ticket to event for just £5 HERE, and students can attend for free. Writing in Jewish News in March, Minister Without Portfolio Robert Halfon said he would be thinking of the “increasing threats to our security, the existential threat to Israel and whether the world will be strong enough to combat extremist Islam” when he votes to stay in the “imperfect union”. Putting the case to leave, fellow cabinet minister Theresa Villiers wrote that there was “no reason why security cooperation cannot continue between the UK and EU countries after a vote to leave. It is perfectly possible to make such arrangements without subjecting ourselves to the requirements of EU membership”. She also pointed to the EU’s record of criticising Israel. 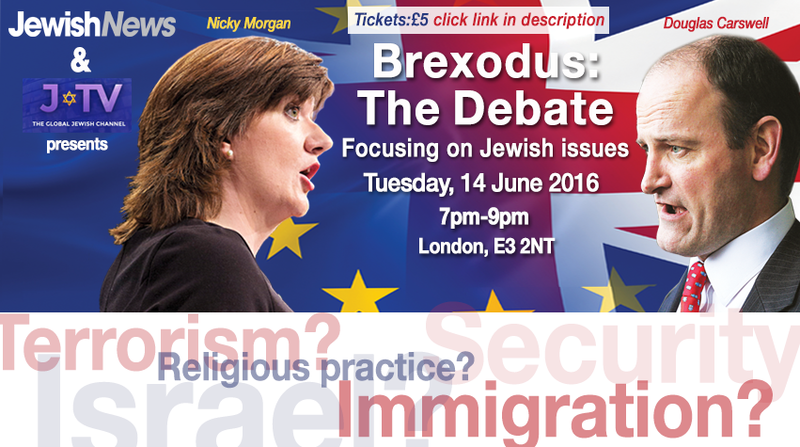 The event comes two months after Jewish News co-hosted a hustings for the London mayoral race.